What foods should you consume for the Ayahuasca diet? 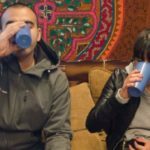 Ayahuasca restrictions, Ayahuasca recommendations. The foods you should eat are beans, vegetables, fruits and other organic-natural products, very little salt and sugar. No food that has any kind of industrialized chemicals, or meat from animals that contain toxins by injections of hormones, proteins or others. Also forbidden: alcohol, cigarettes, drugs, pills, canned foods, coffee, sodas. Any type of sexual activity. 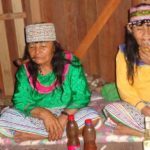 Pregnant women, individuals with any kind of heart problem, persons with psychiatric conditions (schizophrenia, paranoia,etc), epileptics, children younger than 14 years are forbidden to take Ayahuasca. 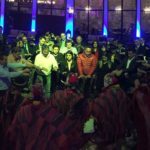 As an alternative, the Andean millenary healing ceremonies can be done, like the reading of coca leaves, cleansing of negative energies, etc. The retreat consists of temporary isolation at the Retreats Temple and ingestion of the Master Plants, under very strict rules of physical and psychological care. It creates a space with nature aimed at physical and energetic purification, eliminating the substances that block sensitivity, favors the production of dreams, remembrance of past traumatic situations, deep introspection and encounter with the Inner Master. 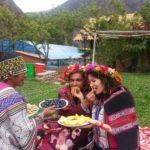 To take part in an Ayahuasca Retreat, follow a diet three days before and three to seven days after leaving the healing and purification of body, mind and soul for best results. Failure to follow directions will result in loss of healing. As you make a journey of exploration and discovery of yourself, this brings more self-awareness to the personal routines and habits that make us who we are. 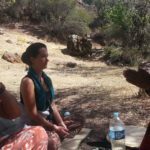 The main benefit of the retreat is that it helps us develop a deeper connection with nature and with our inner being, it purifies negative and emotional burdens that you have kept for years. 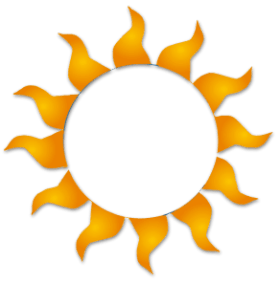 Restrictions and Recommendations, Ayahuasca restrictions, Ayahuasca recommendations. 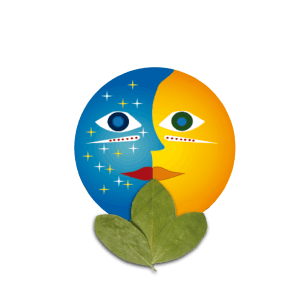 CAISAE is an Association of expert Amazonian and Andean Shamans, we are an association which is serious, legal and reliable. We teach and practice the true ancient techniques. 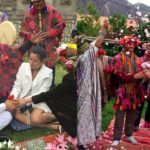 We have a lot of experience in all our rituals, the current Shamans also descend from Shamans, their knowledge was transmitted from generation to generation, they were able to maintain the techniques and ancient secrets of their ancestors in the purest essence, having performed very dangerous healings, which no other healers could do for many years. Be careful in taking Ayahuasca, the brew is not a game, you could even lose your life. So choose safety, trust and the best Master Shamans who can control, care and protect you from the evil spirits and energies around. 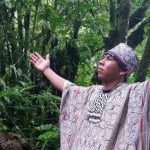 Through his icaros (special chants for the Ayahuasca ceremony) They will lead you to extraordinary visions. 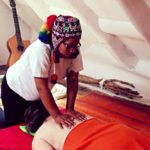 In thanksgiving to God and the Pachamama the Association of Shamans opened this center to guide many people with the techniques so that they learn to transmute suffering into happiness and love. Restrictions and Recommendations, Ayahuasca restrictions, Ayahuasca recommendations. We recommend meditation, prayer, yoga or other practices of your convenience in order to get prepared mentally and spiritually for the ceremony. 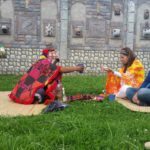 It is an ancient Shamanic ritual, that is why you should take seriously all the recommendations that we give and follow them meticulously as it will help you embracing the full power of the medicine and reach the desired enlightenment. 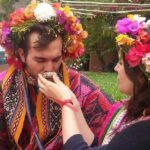 In order to participate in the Ayahuasca ceremony it is necessary to go through the preparation for the ritual and follow a specific diet. The participants should be prepared to accept the spiritual experience, attain knowledge about themselves and overcome personal problems, health problems or find an answer to existential matters. Ayahuasca Peru: Ayahuasca retreats, Ayahuasca ceremony, Ayahuasca Cusco. The session is previously set for a night or day timing by the Master Shaman. 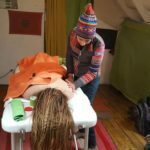 It starts with a short ritual of purification and protection of the place and the body, which means that a participant should approach with respect when asking for help and protection from the sacred world. At every moment of the ceremony a positive attitude from the participant is very important as it helps to control visions, it requires silence and concentration. Generally all senses become much enhanced in the darkness which helps to manage the visions during the trance. The Shaman or assistant serves the potion to every participant. The dose is calculated individually and is based on the personal questionnaire and considers physical and psychological data, origin and intensity of disease or other reasons which led the person to take Ayahuasca. After experiencing intense visions (trance), the effects will start to recede and participants may feel tired and have some difficulty with describing feelings experienced during the ceremony. We recommend not eating any food until the next morning. The final stage is the ceremonial offering to the Pachamama (Mother Earth). 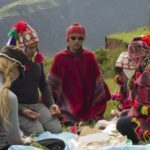 Ayahuasca in Peru: Ayahuasca retreats, Ayahuasca ceremony, Ayahuasca in Cusco. Noble silence means to concentrate and work the interiors, thus avoiding unnecessary waste of energy. You will be allowed to speak only in hours of conversation of integration and in needed cases in the ceremonies, that is to say, in case of emergency. It is not possible to interrupt the Masters during the ceremonies, only when they consider that it is an emergency through the translators or assistants to resolve questions related to your health. The Masters will maintain the noble silence for the same purpose, they will only be able to talk about the ceremonies and cures, they will keep the noble silence in the rooms and in the whole center, there will be only a cell phone for emergencies in charge of the translator. The translator will only translate, will speak in a polite way to the patient regarding his person and his inner work, will not mention anything that affects or annoys him as vulgar jokes or personal stories that do not help your personal growth. He will provide more cultural information and not personal comments. If you do not have a hotel booked for your return to Cusco, the luggage can be stored in our office or you can take it to the Retreats Temple. Restrictions Ayahuasca Recommendations Ayahuasca restrictions diets. What not to eat before Ayahuasca diet. Who must not take Ayahuasca cusco.